OK, so who out there does not like fudge? Especially homemade fudge? I know that I can not resist homemade fudge neither can my husband. I was lucky enough to receive a one pound sampler pack from The Mill Fudge Factory. 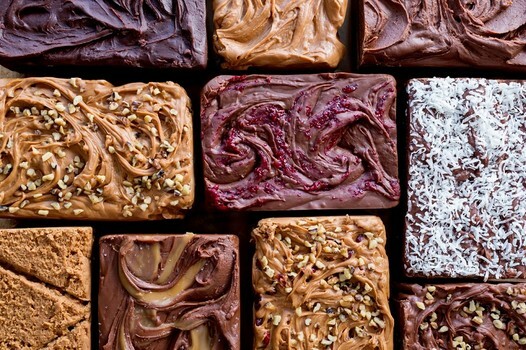 The Mill Fudge Factory makes their own fudge in the Lakes region of New Hampshire. The sampler pack I received contained 4 different types of fudge. It had Maple Walnut, Belgium Chocolate, Chocolate Raspberry, and Original Penuche. My husband loves walnuts so we tried the Maple Walnut first. All of the fudge is very creamy and soft. The flavor was awesome and the walnuts gave it a little something extra. Not too much crunch for smooth fudge. Chocolate Raspberry was next. I do not care for raspberries but this was yummy. The flavor was perfect, not to overpowering. Then we tried the Belgium Chocolate which was a lot of chocolate. But who has ever complained because their fudge was too chocolaty? I didn't think so. This fudge almost melts in your mouth. My favorite was the Original Penuche. I love love honey and my husband does not. This one had a great honey flavor. I was surprised that with how soft this fudge is it does not melt easily if left out. I forgot and left it on the counter on a hot day and they were still perfect. Then I put it in the fridge and ate it the next day and... perfect. Same texture. 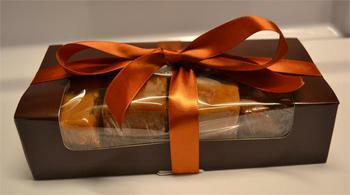 The Mill Fudge Factory is available online to place orders. This will be a perfect touch to your Thanksgiving or Christmas dessert table. My husband loves fudge. I think I may have to check this company out and get some for him for Christmas! Oh my goodness, I would be in heaven with fudge! I'm not a fan of honey either, but the Belgium Chocolate sounds like it would be divine! Love the discount.